Below are the results of the top trance everything for year 2009, thanks to the good folks at Trance Awards which are powered by the good people at Trackitdown.net. Also of course a huge thanks to Trance.nu. A little late but as of November 2009, DJ Mag released their “Top 10 DJs of 2008” list (see below). Armin Van Buuren is on top with number one, followed by DJ Tiesto, this was the same as last year, however now 3rd is David Guetta then Above and Beyond. Paul Van Dyk (PVD) comes in at 5th place and a big jump for fellow Canadian DJ/Producer DeadMau5 to 6th. Ferry Corsten, Marcus Shultz, Gareth Emery and Sander Van Doorn round off the rest from 7th to 10th. DJ Tiesto’s real name is Tijs Verwest and he was born in 1969 in Breda. As a young 12 year old he was already creating music, and when he became older at the age of 20 he was taking his music much more seriously. Today DJ Tiesto is known and loved all over the world, this is according to the godfather of English dance scene Paul Oakenfold. 2008 Trance Awards - Best Trance DJ, Best Trance Producer etc. Over 20,000 plus trance music fanatics, from a staggering 125 countries, who made their vote count in the 4th Annual Trance Awards. So what are the results…see below. As of October 2008, DJ Mag magazine released their “Top 10 DJs of 2008” list (see below). Armin Van Buuren is on top with number one, followed by DJ Tiesto and then Paul Van Dyk (PVD). The rest of the list are the usual suspects like Ferry Corsten, Sasha and John Digweed. Above and Beyond and Marcus Schulz are newer to the list. 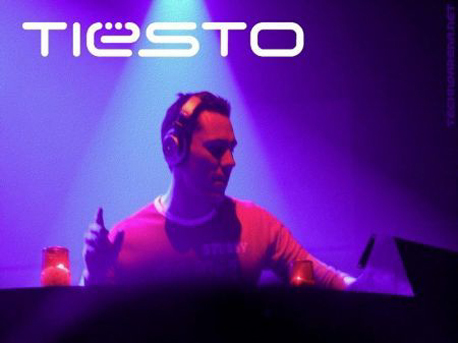 DJ Tiesto, needs no introduction. One of the most successful Trance DJ for the last 5 years, and in November 2008, he is going to be in my neck of the woods. Starting in Toronto, Canada…I’ll make sure to check him out. Check to see if he will be in your city this month and go listen to him.